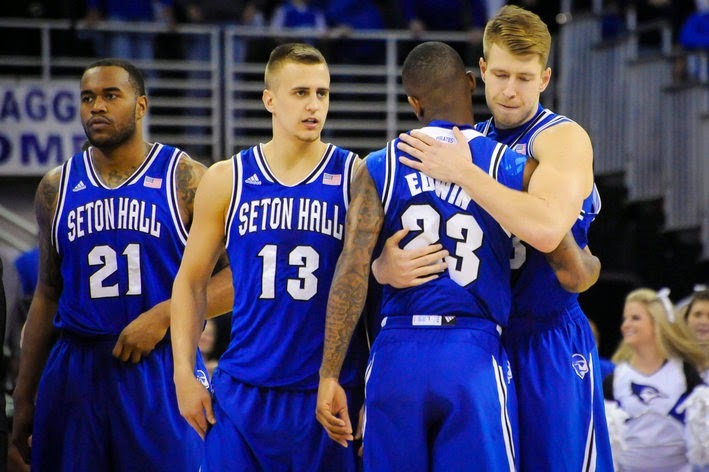 For graduated Seton Hall wing Fuquan Edwin, you knew this day was coming since immediately after the 2014 NBA Draft, or perhaps before. For Czech forward Patrik Auda, who still retained a year of NCAA eligibility, this announcement was feared by Seton Hall fans for months now, most of whom were rooting for a fifth year from the versatile power forward. It has been announced that both former Seton Hall Pirates have signed professional contracts overseas. After failing to hear his named called during the NBA Draft and not standing out at the Portsmouth Invitational or on Oklahoma City's summer league roster, Fuquan Edwin signed a one-year deal with Pistoia Basket of the top tier of Italian basketball, Serie A, over the weekend. Edwin joins none other than Mercer guard Langston Hall, who was also reportedly signed by Pistoia over the weekend. Former Pit Panther Brad Wanamaker and Purdue forward JaJuan Johnson featured on the Italian roster last season. Patrik Auda's inking of a pro contract should come as no surprise since his inclusion in the Czech Republic national team earlier this summer -- every national team player plays professionally. Auda finalized his contract offer from Polish club AZS Polfarmex Kutno of the TBL (Tauron Basketball League) after Czech Republic's 70-65 friendly loss to Poland on Friday. Auda then scored 11 points for his country in their 75-73 friendly win over Poland on Saturday; Patrik scored 15 against Austria last weekend. The Czech Republic has friendlies against Israel and Russia later this week in preparation for Eurobasket 2015 qualifiers in August. Kutno has also signed Saint Louis guard Kwamain Mitchell this past week.